There’s more to Jay Hutchinson’s street sculptures than meets the eye. 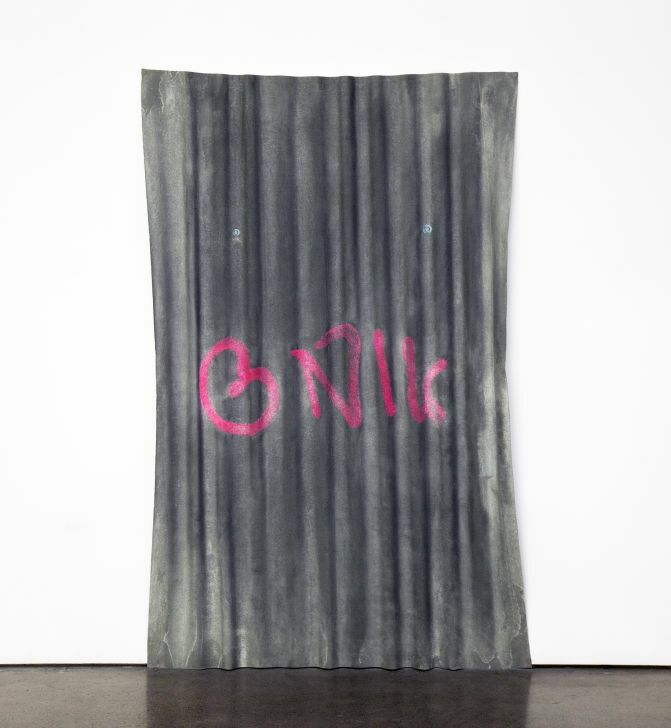 The concrete panel and the corrugated iron fencing - which at first glance look like construction junk - have been hand-embroidered by Hutchinson to provoke viewers to reflect on their physical environment. Hutchinson has used fabric on the pieces using an intricate layering process. Both pieces were originally part of a 2016 public art installation in Wellington, entitled ‘Turn Left at the end of the Driveway’. The setting of Hutchinson’s work was his surrounding environment in the trendy, artistic suburb of Newtown. “The concrete footpath and fence are re-contextualised in fabric using a process of screen-printing, hand-embroidery, starch, glue and structural supports,” says Hutchinson. Hutchinson has a master of fine arts degree from the Dunedin School of Art, completed in 2008. Now based in Dunedin, Hutchinson has exhibited all over the country, and works with a number of mediums, including hand-embroidery, drawing, video and fabric construction. His recent work has explored the fetishization of products, the devaluation of the worker in society and the decaying economic system.